Fishing, Willamette River at Oswego. Old furnace in background. In boat, left to right: Guy Worthington, Elmer W. Kingkade, Otto Larson, Millie Worthington, some fish. Gift of Ava Crowe. Description Appears to be the same as #698a & b; printed from the glass plate negative; by Will Bickner. Transcription Fishing, Willamette River at Oswego. Old furnace in background. 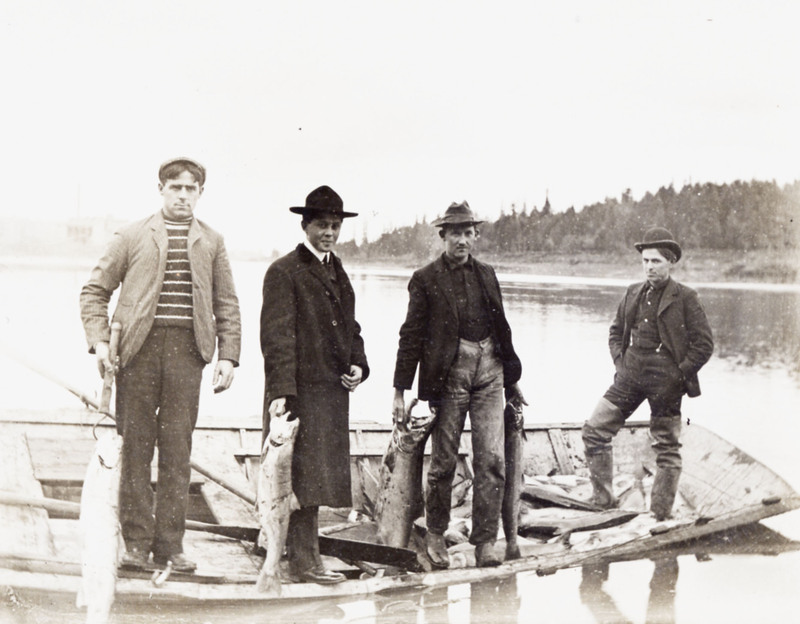 In boat, left to right: Guy Worthington, Elmer W. Kingkade, Otto Larson, Millie Worthington, some fish. Gift of Ava Crowe.